In a blender, combine lemon juice, raspberries, blueberries and sugar. Cover and process until blended. Strain and discard seeds. In a 2-1/2 qt. pitcher, combine berry mixture and water. Pour into a freezer container. Cover and freeze 8 hours or overnight. 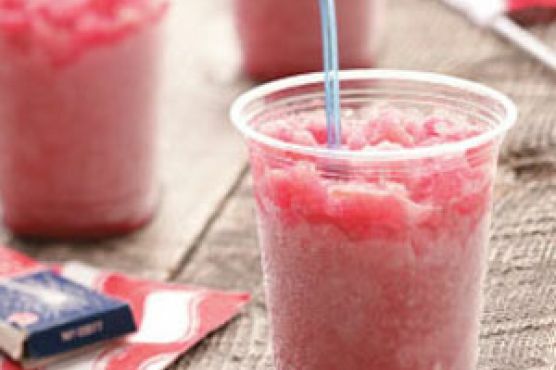 Just before serving, remove from the freezer and let stand 45 minutes or until slushy.